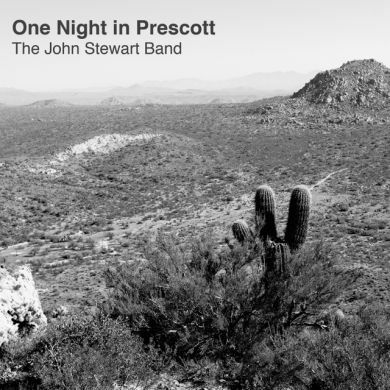 The John Stewart Band is made up of the musicians who played with John since the early 80s. Dave Batti, Dave Crossland, Bob Hawkins, John Hoke, Dennis Kenmore, and Chuck McDermott came together to record 15 of John's songs at a concert in Prescott, AZ. Includes Fire in the Wind, July You're a Woman, Lonesome Picker, Razorback Woman, Pirates of Stone County Road, Greenback Dollar, Runaway Fool of Love, I Remember America, Queen of Hollywood High, Hearts and Dreams on the Line, One Eyed Joe, Bad Rats, Never Goin' Back, and Gold. Now available!